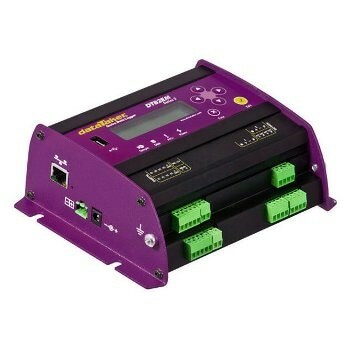 The Series 4 dataTaker DT82EM intelligent data logger is a fully featured low-powered logging platform that comes with an integrated cellular modem that has dramatically improved sampling speed, measurement range and programmable analog output for its ideal application for remote purposes. 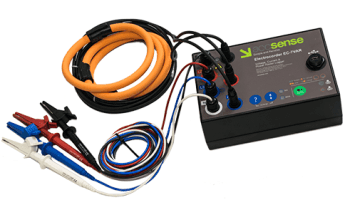 The rugged design and wide operating temperature range of this data logger provides users with a highly reliable operation that can be utilized in virtually any environment. Additionally, the ability of the DT82EM to maintain adequate operation under low-power circumstances allows the user to utilize a smaller solar panel without risking any effects on the overall functionality of this tool. Smart sensors, GPS and additional intelligent device interfaces can be incorporated into the DT82EM system. Allows the user to schedule data to be automatically emailed to their email inbox at desired frequencies (e.g., every day, week, month or other time intervals). More sophisticated systems can utilize this feature to send logged data to an FTP server. Alarm conditions can trigger data delivery in addition to sending alarm messages to multiple email addresses or mobile phones. Can be directly configured in the web browser through the use of dataTaker’s dEX graphical interface, which allows the user to specifically design wiring diagrams and other system features to determine how the system should work for both novice and advanced purposes. Internal modem allows the user to remotely re-configure the system over the internet if necessary.